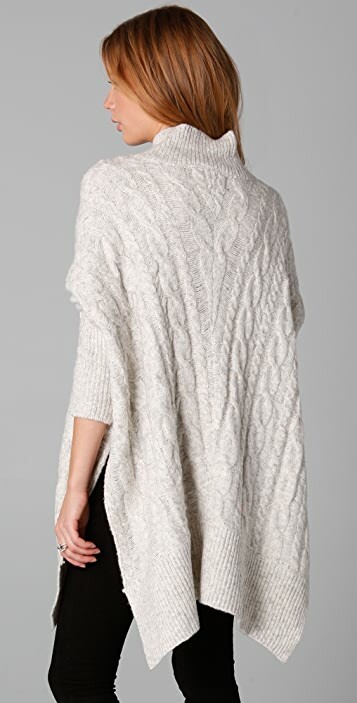 This cable-knit poncho features a shawl collar and dropped shoulder seams. Side slits and ribbed edges. Long sleeves. I love it!! What a pity the winter is over :). Nice shape and handfeel. The length is good to wear leggings. I'm looking forward to winter to come. Again, a really good buy, well worth the money, so soft, And goes with everthing. This jumper is fabulous! I am short and slender 158cm tall and size 6 (AUS) size 0 (USA). I purchsed an XS and it fit wonderfully. The jumper comes to my upper thigh and fits my arms perfectly. I purchased the lighter colour. The material is super soft and feels great on my skin. I plan to wear it with my (newly purchased) True Religion jeans and black boots in the Australian winter (which ranges between 8 and 15 degrees Celsius) . Love it and thank you shop bop! The cream is actually white and grey! 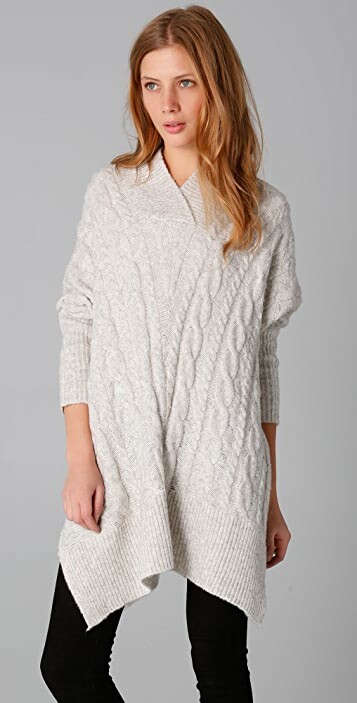 Loved the cut and style of this sweater in the photo and I didn't have a sweater in "cream". Sooo disappointed when I opened the box. 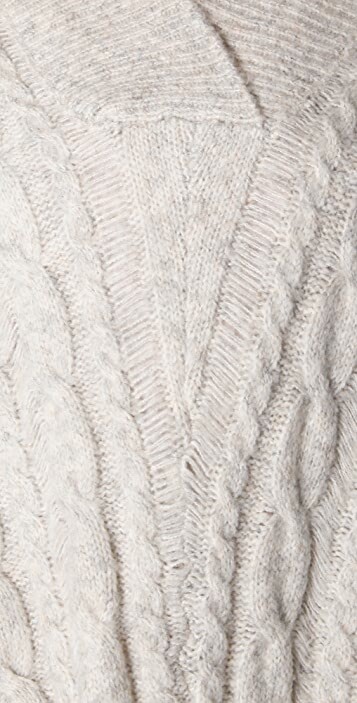 It's that white with a bit of grey in the yarn (which makes it look a little dirty looking). I didn't even take it out of the bag. And I agree with other reviewers that it looks like it will pill pretty fast. Good Quality material, very soft and colours were true to photo on shopbop! 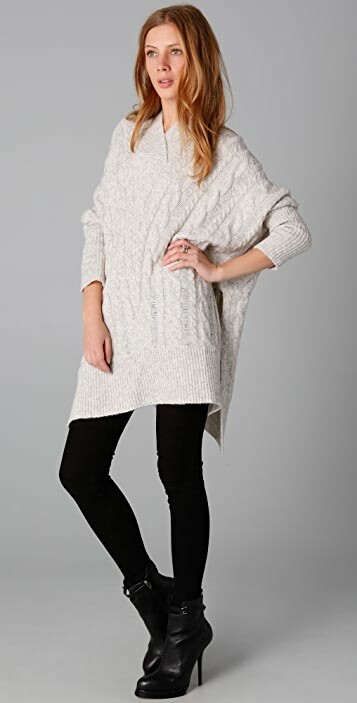 It's such a lovely poncho! It's lighter than I expected and very warm. Love the color and the length is long enough to cover the hips. 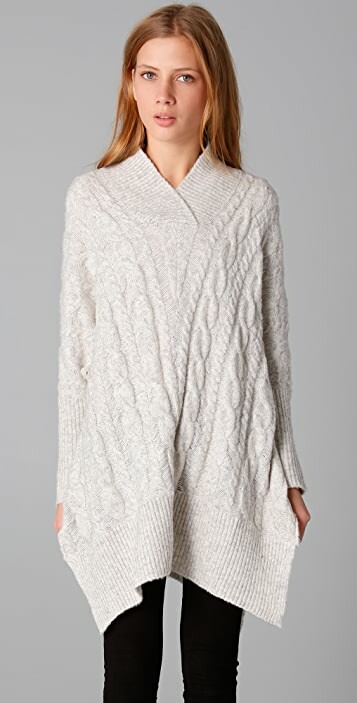 This is a gorgeous sweater in the photo and in person. I wanted so much to love it, but for the price I was disappointed in the material quality. The knit is very fragile and has the potential to pill. I sent it back the next day because I felt like it would look shabby after a few wearings.